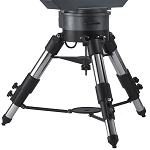 The Berlebach Planet Wood Tripod for Celestron CGE Mount from Vixen Optics uses Berlebach's old-world craftsmanship to provide a beautiful and stable viewing platform to carry the Celestron CGE mount. 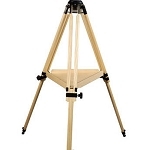 Made of ash with clear varnish to bring out the grains in the wood, the tripod features black anodized metal fittings for the mounting head and leg sections. 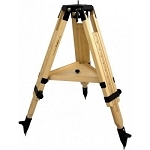 A matching wood accessory tray provides high-degree of stabilization, as do the slightly curved spike feet. 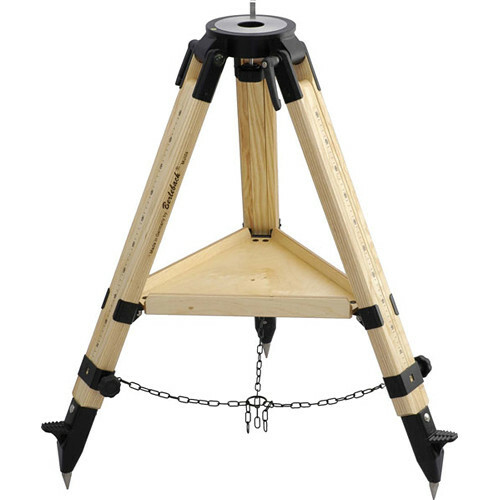 Foot-tabs are provided to push the spikes down and firmly set them into the ground. 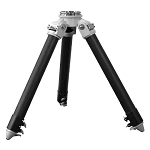 The flat design of the tripod head with 4.1" leg joints helps prevent vibration transmission enhancing the viewing experience. The tray can be removed and the included steel chain will let the legs spread further. Packaging Info Package Weight 25.0 lb Box Dimensions (LxWxH) 38.0 x 12.0 x 6.0"